There are times with music when you get one of those ‘why have I not heard this band before?’ moments. This happened to me last year upon discovering Discipline at Summer’s End, and it has happened again here with this new release from Seven Impale. 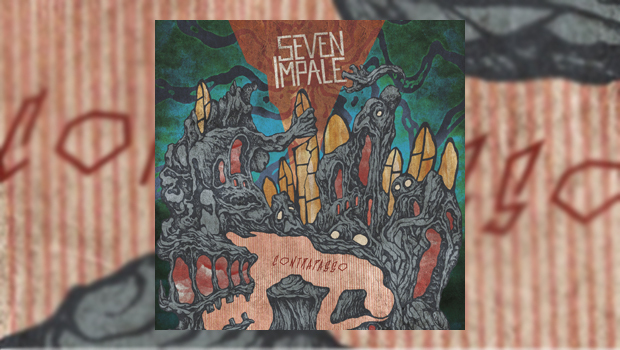 I must confess that of late I, more often than not, like my music to challenge me, be a little different and to be progressively pushing boundaries; Seven Impale appear to tick all these boxes for me on this their second album. Seven Impale hail from Bergen in Norway and were formed in 2010 by Stian Okland. After experimenting with their sound for a couple of years they joined Karisma Records and released the Beginning/Relieve EP in 2013, which was followed by their acclaimed debut album City of the Sun in 2014. Citing their influences as early prog rock/fusion, experimental music and jazz, they mix modern metal sounds and a splash of jazz with some classic rock stylings of greats such as King Crimson and Van der Graaf Generator. 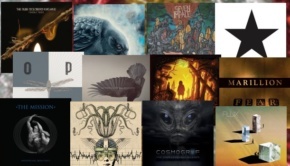 What they have created here is daring, varied and complex, indeed they include more musical ideas into one song than some can do across a whole album. The opening track, Lemma, is a great statement of intent, powerful, punchy, challenging and complex at times; the guitars and drums drive the song along from the start, the vocal sounds somewhat distant and eerie, keyboards join in and appear to try and change the song direction, with no success at first. Amongst all this a saxophone emerges and begins to deliver some almost frenzied runs, then at around three and a half minutes the driving rhythm gives way to a more free-form style and melody taking us to the end of the song. An absorbing nine minutes passes in what seems like half the time. Benjamin Mekki Wideroe’s saxophone is all over these songs creating wonderful sound textures, sometimes controlled, at others almost frenzied and jazzy. His playing on track four, Languor, is marvellous, strong almost prog metal drumming starts the song to be joined by a great guitar riff, then an urgent saxophone, the song settling with piano and saxophone to take it forward. The keyboards pick up the pace again with the guitar and drums, saxophone adding subtle touches here and there, never fully dominating but always making its presence felt at what seems like just the right moment. Helix begins with what could be an old mobile ringtone before changing as other instruments join in to a more psychedelic feel. Through this the guitar, at times, offers a metallic riff without taking over, saxophone signaling the change as they go off in a completely different direction before bowing out in a melodic, pastoral way. The sheer complexity and mastery of what Seven Impale do almost demands that you pay attention, and if you do you will most certainly be rewarded for your efforts. The songs are full of contrasting and dynamic rhythms, add to this melody, some great song writing and energetic, passionate, exciting performances from the band and you have another exciting release for 2016.